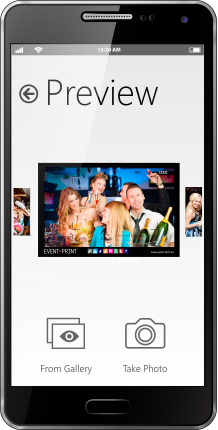 Create a new revenue stream from party images that would otherwise just sit on peoples’ smartphones and tablets. Take advantage of the selfie trend, capture and print these images with Event Print. Bring classic print services to the modern world of smartphones. Let your guests have a bit of fun by printing their own photos taken on their own smartphones at parties, receptions, galas, proms, dinners etc. 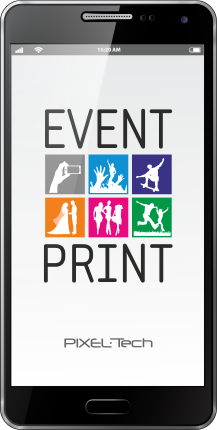 The spectrum of events where you can use Event Print is infinitiv. Unlike photobooths it suits serious business conferences and fancy events as well. Differentiate your service whether you are a photographer or a venue/hotel. Event Print supports 3 different business models. Depending on your needs it can print photos for free up to a contracted limit, it can be used to conduct a direct sales of photos during event or a combination of both. Now-a-days almost everyone has a smartphone with a descent camera – that’s a fact. 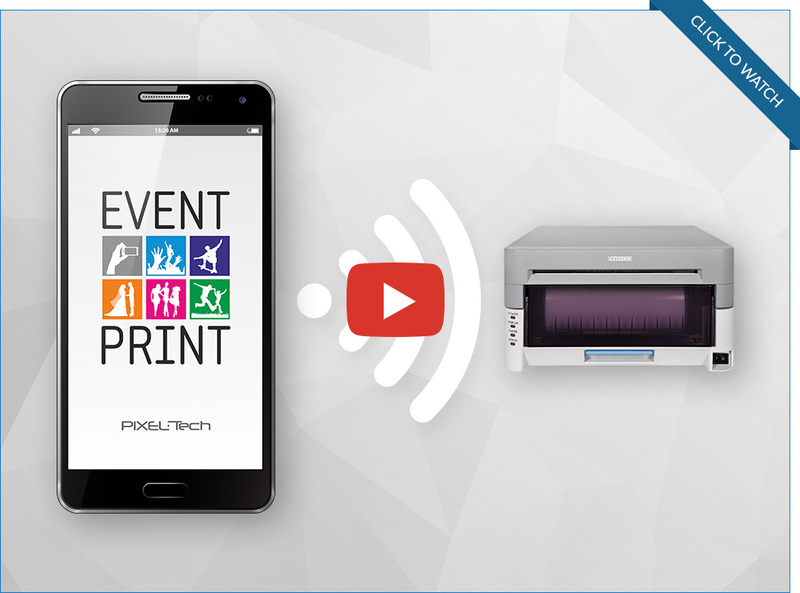 Therefore the main part of Event Print solution is a free app for mobile devices. It is available on both modern mobile systems: Apple iOS™ and Android™. 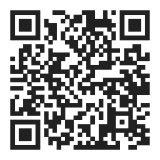 Download it from your Store or scan QR Code and test as a Demo version. Install the Event Print Server software on your PC, laptop or Windows tablet and connect the Wi-Fi router (included in package). (Fujifilm, Mitsubishi, DNP, Citizen, Epson etc.). Set up one of the three working modes. Add value to your services by customising the app UI and creating a customised photo border. Relax and watch the guests have fun. Optionally offer them a professional service with photos taken by you and transferred wireless from a camera to the Event Print Server. Guests install the free Event Print application. We like our competitors … to be left behind! Our online 24/7 Shop is the simplest and the fastest way to buy our products. Our Shop supports secure and immediate payment system by DotPay. Here you can find all relevant technical information: hardware requirements and history of released updates. [+] WiFi status and warning messages have been added to assist users. [!] Bugfix for mobile apps frames. Fixed the connection error when the mobile frames were enabled. Do you like this product? Like it and share on Facebook!